We wanted to post a quick photo from the lighting show at the Adelaide Festival of Arts. 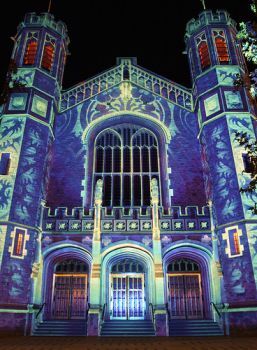 During the festival, artists project lights on the city's architectural monuments, turning the buildings into electronic canvases. We've posted one photo below. For more good ones, see here. Thanks Carol for sharing these!